Room Service offers richly detailed images of the people and places of Richard Swartz's adopted slice of Europe, and thoughtful reflection on his status as a privileged outsider. We meet Serbian poets and priests in the service of war, the bewitching wife of a Romanian bigot, a Czech factory manager turned hotel porter in the wake of 1968, Ceaucescu's masseuse, the king of all the gypsies, a cantor who is the last survivor of a Jewish community, and many others--famous, infamous, and anonymous--who take their places in a fascinating, moving, and sometimes cuttingly funny history of a region at the brink of enormous change. Now translated into almost every European language, Room Serviceblends travel writing, reflection, and reportage to paint a rich literary portrait of Eastern Europe in transition. 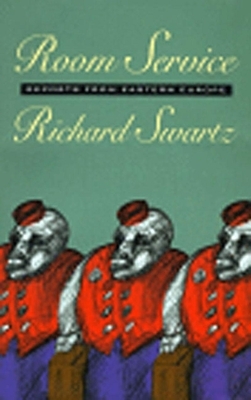 Richard Swartz was the Eastern Europe correspondent for the Swedish newspaper Svenska Dagbladet. Room Service is his first literary publication. He lives in Austria.